We couldn't let this one go under the radar! Congrats to our MD, Daryl Moss of O.M.A Shopfittings! 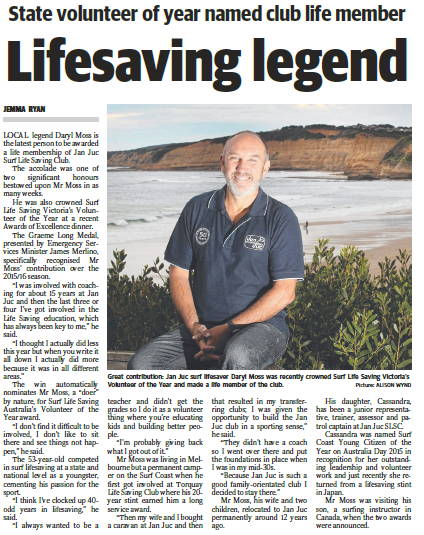 A well-deserved recognition for dedicating himself so whole-heartedly to Life Saving Victoria. He's Surf Life Saving Victoria's Volunteer of the Year and now has a life membership of Jan Juc Surf Life Saving Club. Well done and well deserved Mossy!